Reiki, as defined by the International Centre for Reiki Training (www.reiki.org), is a “Japanise technique for stress reduction and relaxation, that also promotes healing.” Rei means “God’s wisdom or Higher Force”. 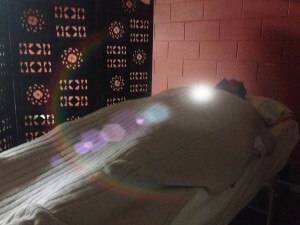 Ki means “Life force energy”, so you could say that Reiki is Life force energy that flows from God or a Higher Force. It was founded by Dr. Mikao Usui and it is practiced by “laying on” hands on specific parts of the body (or over the body) of the client. The practitioner is a channeller of this life force energy to allow the client to re-balance, replenish, restore. It works not only on the body, but on the mind and spirit, bringing a feeling of relaxation and deep peace after the treatment. Some people have even reported improvements on physical issues after a set of Reiki treatments. At The Healing Butterfly Touch, we integrate our Reiki treatments with elements of Aura-Soma and the use of Crystals to enhance the experience and bringing it to the next level. The treatment lasts 1 hour and we ask you to allow enough time, so you don’t rush around. For best results, we recommend you to have a quiet time after the Reiki session and drink plenty of water.